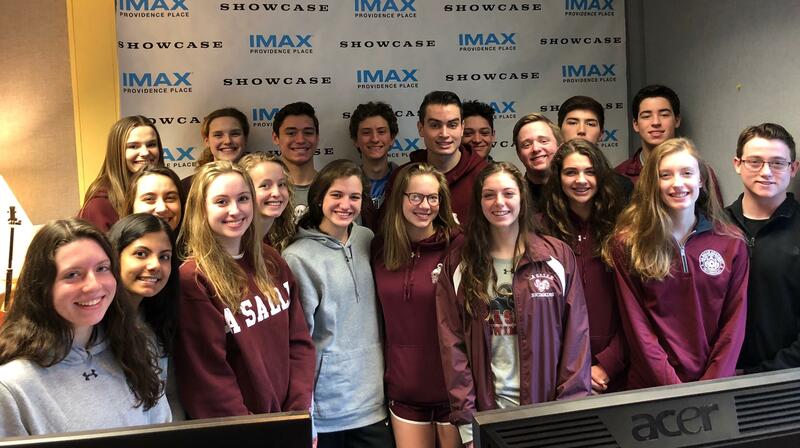 Congratulations to this week’s Showcase Cinemas High School Team of the Week: LaSalle Boys and Girls Swimming! The LaSalle Varsity Swim Team is an amazing team who has come together for the past two years to collect canned goods to help fill the Providence VA Medical Center’s Homeless Clinic Food Pantry. The swimmers collected canned goods at home meets and also held a raffle at their banquet to purchase Stop and Shop Gift Cards. The swimmers met with the director to learn about the program and how they are helping those in need in their own community. It was a humbling experience. The team also spends a lot of time together outside of swim as they have such a strong friendship. They have become more like a family in the pool and out. They deserve to be recognized for their dedication and hard work both in the pool and in the community. Thank you for reading and I hope you are able to honor the LaSalle Boys Swim Team.